Screen protectors are one of my own preferred accessories, and I always like to have them on my own cameras. The main role of a screen protector is to provide a layer of protection for the rear LCD screen on the back of a dslr. 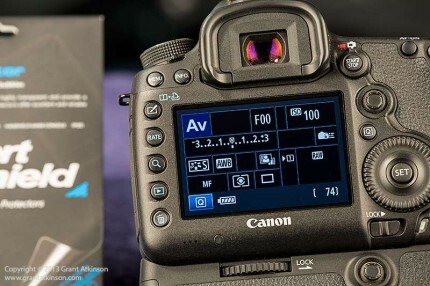 Over the years, rear LCD screens have gotten bigger, growing incrementally to their current size, which is approximately 3.2 inches on the Canon 5Dmk3 and 1DX. 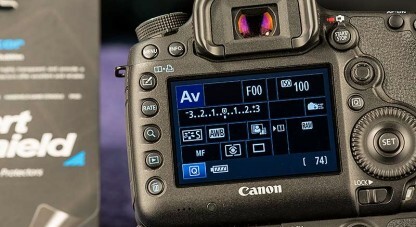 Canon’s screens have also gotten tougher over time, and the latest versions are made of scratch-resistant glass. I find the increased clarity and durability that has come with these new screens most welcome, but I still like having a screen protector in place. I shoot outdoors all the time, often in dusty environments. I also manage my cameras within the confines of a vehicle, and it is all too easy to scratch, scuff or even worse, break a rear screen whilst shooting in these conditions. Before I started using Expert Shield screen protectors, I made use of many other brands. Some of these come in a generic oversize form, and need to be measured and cut by the user. Quite aside from being very time-consuming, I usually find that the glue right along where I have cut loses grip, and I end up with a peeling edge. I also don’t always get the edges straight. There are also pre-cut screen protectors available made from very thin glass, which sounds good but I have seen several of them shatter at the slightest bump. The Expert Shield protector is different, and each screen protector is cut exactly for a specific camera model. Applying the Expert Shield is about as simple as it can get, as there is no cutting, and no modifying needed. The protective film is exactly the right size for the screen. Expert Shields cover more than just the rear LCD screen though. The kit for the Canon 1DX includes protective film for both the small rear LCD screen which sits below the main screen, and a film for the top screen. 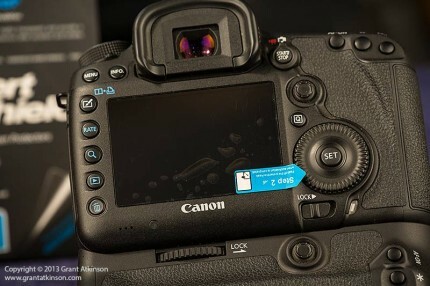 The 5Dmk3 Expert Shield kit included one protective film for the main rear LCD, and then another for this camera’s top screen. When mounting Expert Shield protectors, just like with any others, you will get the best results if you take a little care when it comes to preparing properly. A dust-free room is essential, and one with lots of light. I got together with shooting buddy Chris Frylink to photograph him carrying out a clean fitting of the Expert Shield on a Canon 5Dmk3 as the best way of showing what the protector is about. 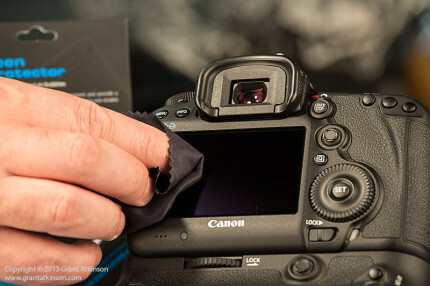 We started by washing hands as well as cleaning the camera screens, rear and top, with a soft cloth dampened with warm water and a mild detergent to remove any oils, or greasy spots. I sometimes get sunscreen on my rear lcd, and every bit of oil needs to be removed. We dried the lcd with a soft towel, and then did a final cleaning with the microfibre cloth that is supplied with every Expert Shield package. After this cleaning, we used a hand blower to make sure there were no dust or debris spots left on the screen, and used some bright light to inspect the screen. A little more time at this point in the process makes it easy to get the installation perfect. You may find that the best, least dusty place to do this might even be in a bathroom with the doors and windows closed. Once we were happy the screen was absolutely debris and oil-free, we partially peeled back the protective backing labelled Step 1, making very sure not to touch the exposed surface of the protector. We aligned the edge, and began pressing down on the protector, slowly working up and down to carefully squeeze out any bubbles. We aligned the protector with the left edge of the screen and began pressing down on it, working from top to bottom, in small sections at a time with one hand, whilst slowly peeling away more of Layer 1. as we kept on applying the screen, we kept on squeezing out bubbles. Bubbles come out easier if they are squeezed out towards the closest edges of the screen. Any bigger or stubborn bubbles that are trapped need to be removed, and the Expert Shield can easily be lifted gently until the bubbles are gone. At the same time we kept on peeling away the Step 1 layer, and kept on squeezing out bubbles. 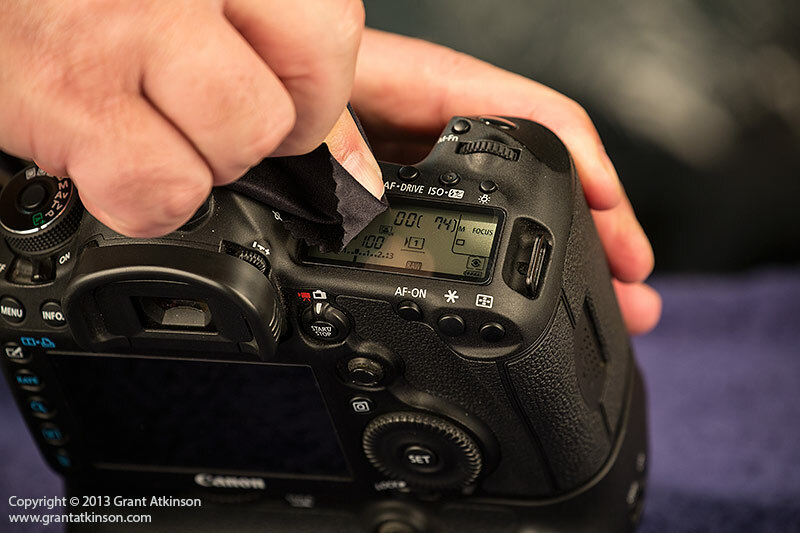 One of the good things about the Expert Shield protector is that you can easily peel it off and re-apply it without the film losing it’s “cling.” You just need to completely avoid touching the sticking surface with anything when it is exposed. When we got to the right edge of the LCD screen, we completely removed the film labelled Step 1. With the protector in place, it is time to remove the remaining layer of masking, which is labelled Step 2. The bubbles visible in this image were just under the Step 2 layer, and not important at all. Whilst at this stage, we took our soft lens cleaning cloth and rubbed down on the screen gently. Next, we made sure to peel off the Step 2 layer very carefully, so as not to lift the actual protective film which lies beneath it. With the Step 2 layer removed, we still had one small bubble between the Expert Shield protector and the LCD screen but it was close to the edge, and easily squeezed out with a soft cloth. We now had a perfectly installed Expert Shield protector, and the film is so clear that it is virtually invisible. 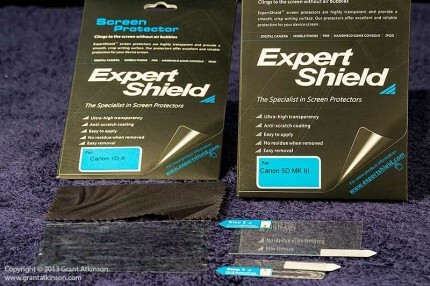 Next, we went through the same careful process in applying Expert Shield protector to the top screen on the 5Dmk3. Again, the protective film fitted perfectly, and was so clear that it was virtually invisible. Again, the protective film fitted perfectly, and after carefully applying it, formed an almost invisible shield for the top LCD screen. 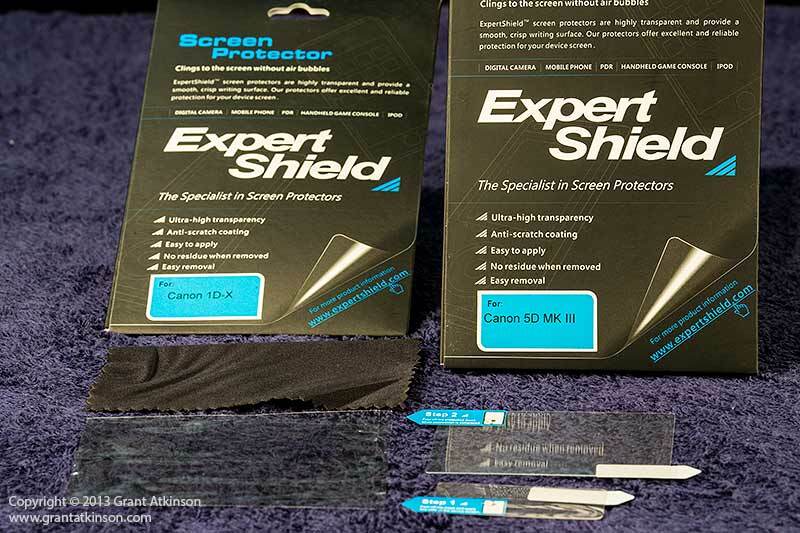 The Expert Shield protector screens provide a decent level of protection to the most vulnerable parts of my Canon dslr bodies. When fitted properly, the Expert Shield protector screens take away nothing when it comes to clarity and contrast on the rear LCDs. So far I am finding that these screens are the best screen protectors I have ever used. They can be removed, with some care, and re-used. There is no messy residue or glue that is left behind. Application is as simple as it can be, and with no cutting or modifying needed, a precise fit is guaranteed. This is a high-quality product, that does a great job, at a reasonable price. So far I have only made use of the Expert Shield protectors for the Canon 1DX and Canon 5Dmk3. 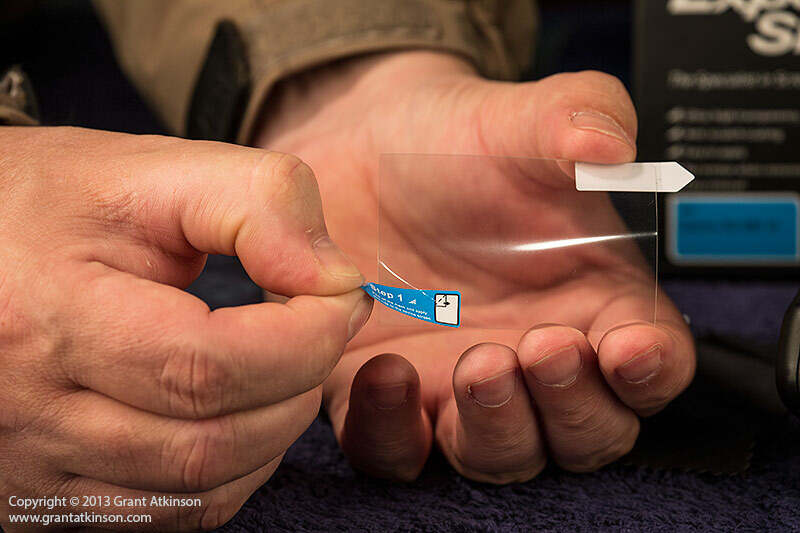 The company produces screen protectors for a wide range of cameras, as well as tablets, iPhones and more. The range of screens can be viewed and ordered online from Expert Shield in the UK. Thanks for the in depth review Grant. I have just ordered two of these after reading this. The detailed prep and method explained will hopefully give me a chance of not messing things up. Sure you will enjoy the Expert Shields.. Excellent. I have been looking around for this very thing for my 5D MK111 after constantly battling with smearing on the rear screen of the camera. 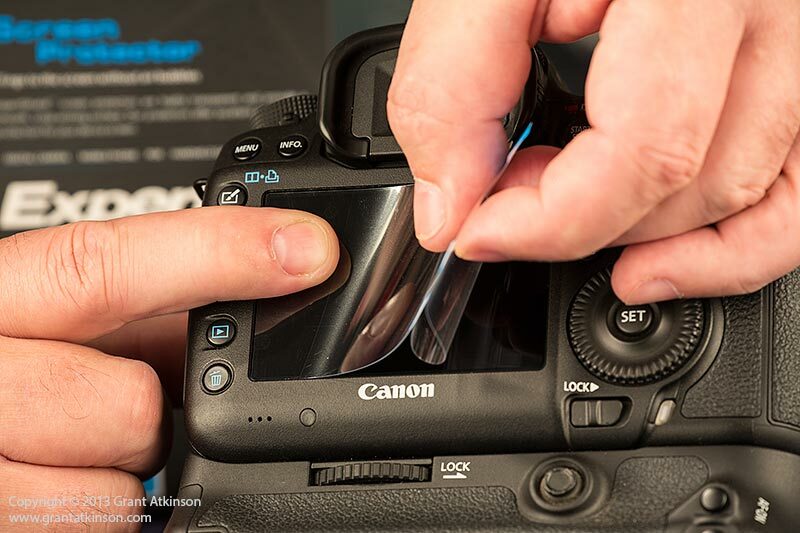 Thanks Grant for the review – and the tips on how to apply the screen protector – great job. Wonderful review, David! Thank you for sharing this. I do believe that it is really important to put on shield protectors on camera screen to avoid having scratched on screens. When I installed mine I used scotch tape to remove small particles or dust on the screen and those that stick on the screen shield. Hi Martin, they can be ordered via the Expert Shield website and I think Amazon online. I don’t think there is a local supplier carrying stock, though that would be great! Thank you for a great review. Any idea why Expert Shield does not include a protector for the 1DX top screen, but “only” for the main and lower screen on the back? 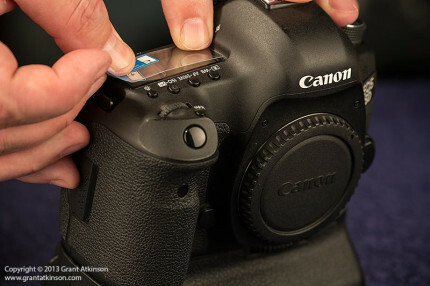 I suppose the top screen on the 1DX is exposed to just as much risk of scratching as the 5D. Sorry if I perhaps wasn’t clear with my writing in the original post, Expert Shield for the EOS 1DX definitely does come with a screen for the main rear LCD, also the smaller LCD that lives below it on the back of the body, and a third protector for the top LCD…all are covered. Following your review I purchased and fitted mine on a 5DMKIII a few days ago. 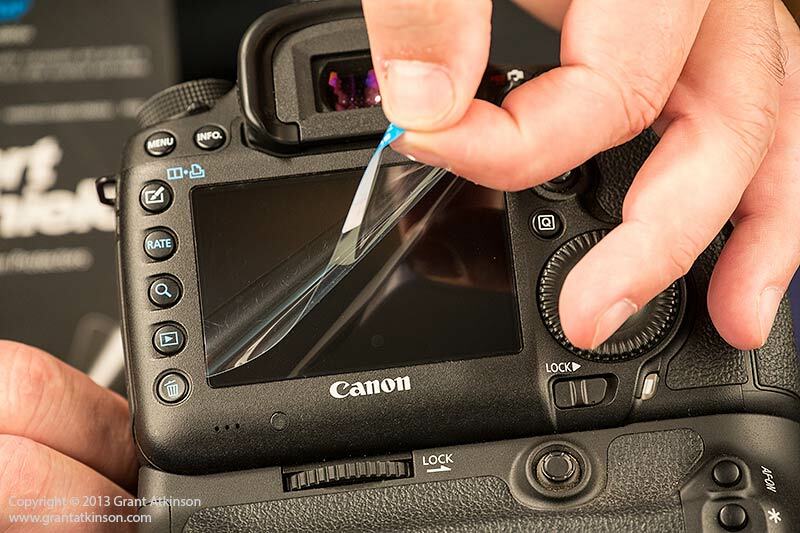 Couple of tips – I cleaned the back of my screen with a micro fiber cloth and some lens cleaning fluid from the opticians (I figured if it was good enough fro my specs it would be okay for the camera). I also fitted the smaller Expert Shield on the camera top plate first – so that I could get used to the fitting before trying he larger screen on the back. Grant, thanks for the great review. Mine came today and it was easy to get put on thanks to your advice. A fairly inexpensive investment to protect a very pricey piece of equipment! Definitely worth the effort, and a good way to have a little extra piece of mind when it comes to looking after your camera.